Many seminars have been organized in India since my first post in 2008. Things are always improving with the inevitable changes due to life, men, and understandings but the dôjô is doing really great under Shiva (Shidôshi). I am proud to be one of the several Shihan helping them to grow within the Bujinkan system. Soon they plan to open other dôjô in India and I am sure that they will make a success of this evolution. During my last three seminars, the group has been more and more dedicated and growing. 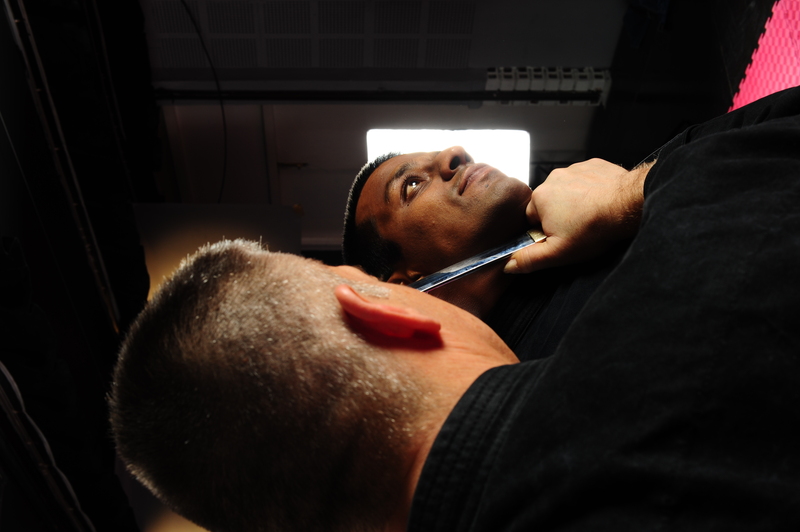 Last December in Japan, India was widely represented with a first group of black belts. During my last stays over there we have covered all the basics of the Ten Chi Jin Ryaku no Maki (5 days); then the basics of Tantô, Kunai, Shotô, Hanbô, Jo, Biken (sword), Bô, Yari, and Naginata (4 days). I think this is the first time that a new group is following the logical evolution of learning. The basics have been studied so we can now begin the real study and follow the order imposed by Sôke with the yearly themes. Respectively since 1993 we studied: bô, Yari, Naginata, Biken, Jo, Shinden Fudô Ryû Taihen Jutsu, Kukishin Ryû Daken Taijutsu, Koto Ryû Koppô Jutsu, Gyokko Kosshi Jutsu, Takagi Yôshin Ryû Jû Taijutsu, Sanjigen no Sekai, Yûgen no Sekai, Kasumi no Hô, Roppô Kuji no Biken, Kuki Taisho, Menkyô Kaiden, Saino Konki, Rokkon Shôjô.